You all are invited to a teenager's coming out party. 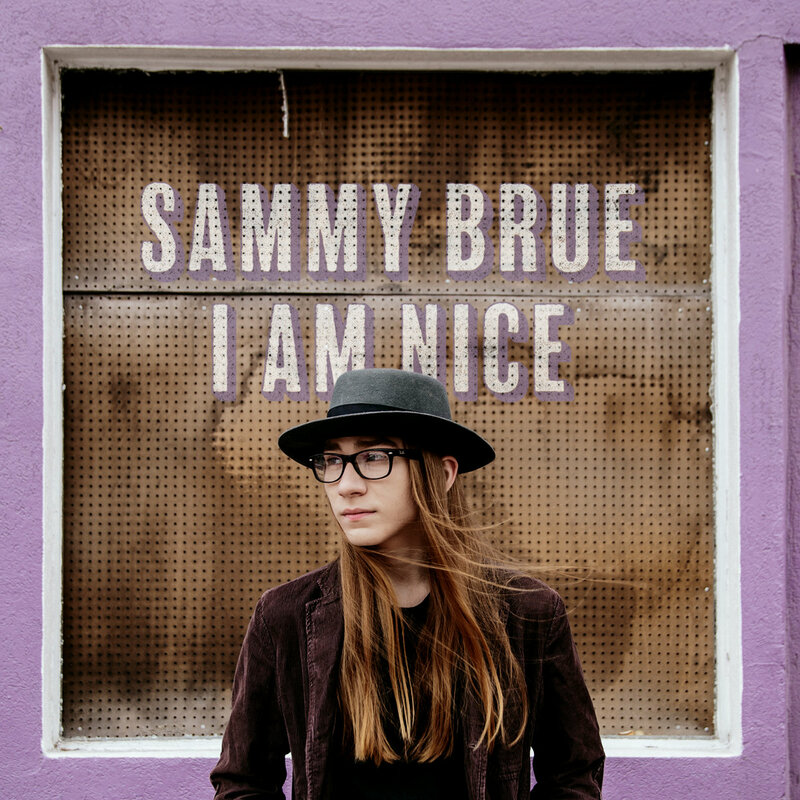 We're talking about Ogden-based Portlander Sammy Brue. The young man is 16 years old, but writes with the sophistication and observational skills of a much more experienced man, and sings with the phrasing of an long-performing troubadour. The platform for the party is his new album I Am Nice, although amazingly his two previous EPs were noteworthy as well. Brue's style touches on folk, Americana, country, garage, and a bit of '60s retro (e.g. "Was I The Only One" and ("I See, I Hear"). One could say he's a young Dylan, but no one deserves to bear that burden. Moreover, Brue doesn't mine the political and social commentary veins, but rather writes about actual or possible relationships with a keen eye, empathetic tone, and sly sense of humor. I invite you to watch the lyric video below for "I Never Said" for a view to the young man's knack for lyrics, melody and delivery. I feel safe in saying that most musicians don't hit that level in their entire career. And to embellish the praise, I should add that Sammy wrote some of these songs several years ago (I guess one has more time when one is too young to drive). Moreover, while Brue is brilliant on the slower-paced songs, he can rock out with panache, as evidenced by "Covered In Blood" and "Control Freak" (the latter inspired by an interview with Kurt Cobain). My favorite songs are "Was I The Only One", "I Never Said", "Control Freak", but every song is a keeper. The production is superb and ably enhance Sammy's performances. If you don't get this album, you'll see it on 2017 lists in six months and feel foolish. Don't be foolish. I Am Nice is out on June 16 via New West Records.